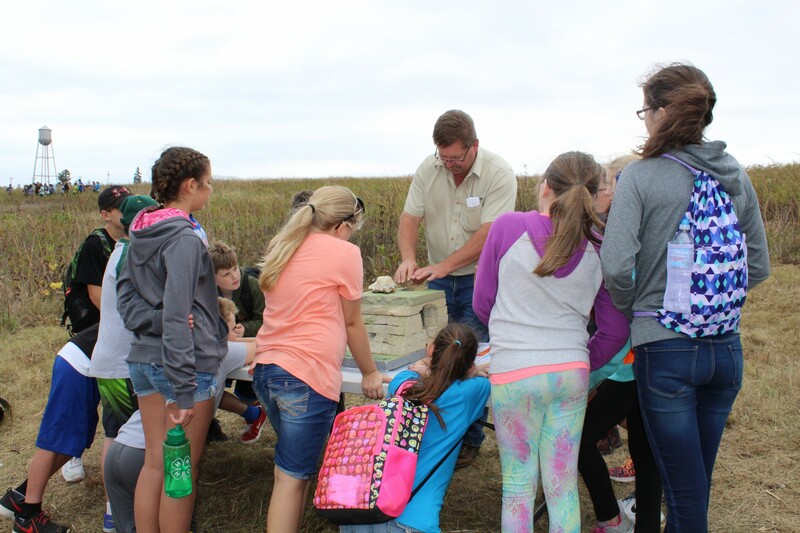 The Iowa County Youth Conservation Field Days is a one-day event held in September at the Iowa County Farm. The Field Day focuses on hands-on experiential learning about natural resources for all 6th graders in Iowa County that wish to participate. This program was developed from the interest of local educators who had reached out to UW-Extension and expressed the desire for more outdoor, hands-on learning opportunities for youth in this area. However, school budgets have become tight over the years and field trips have been reduced or eliminated from the curriculum, largely due to the expense of transportation. This program was developed to fill that need, and we are proud to report that this year will be the 8th consecutive year of offering this program to 6th graders in Iowa County. have every Iowa County 6th grader in the public and catholic school systems attend.